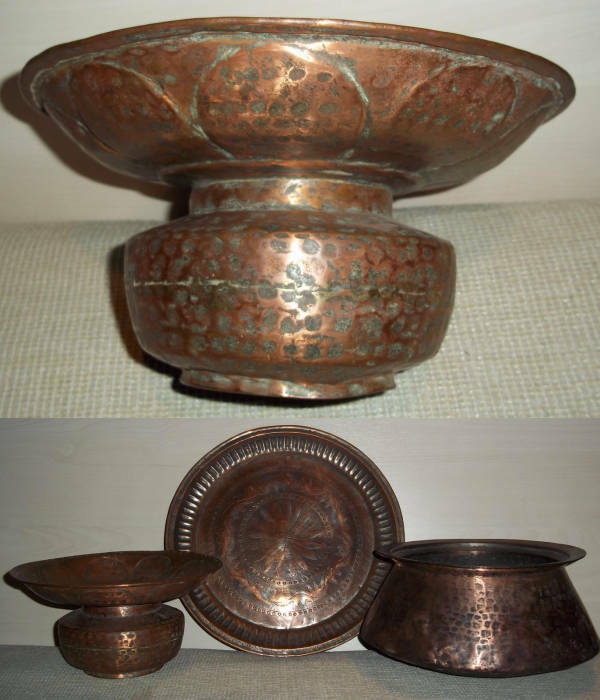 Description: Copper 3 pieces burner. 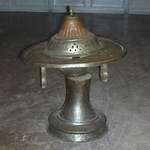 (21.5 inches diameter). 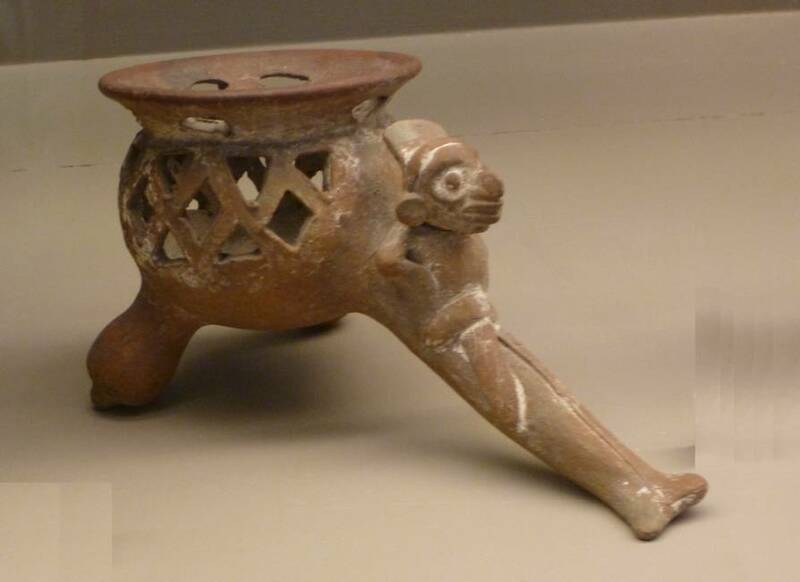 May rather be a heating or cooking brazier. 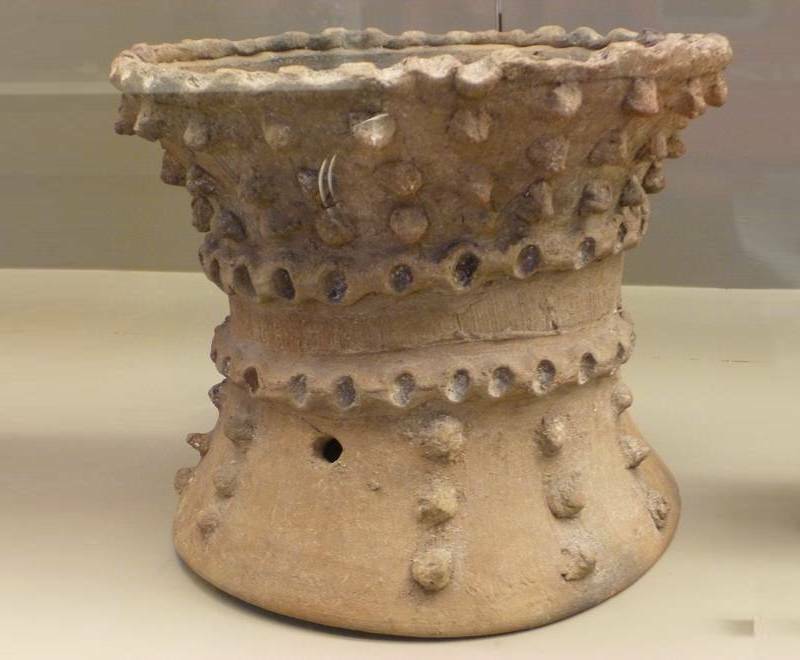 Description: Anthopomorphic censer, found in Isla de Sacrificios (Gulf of Mexico). 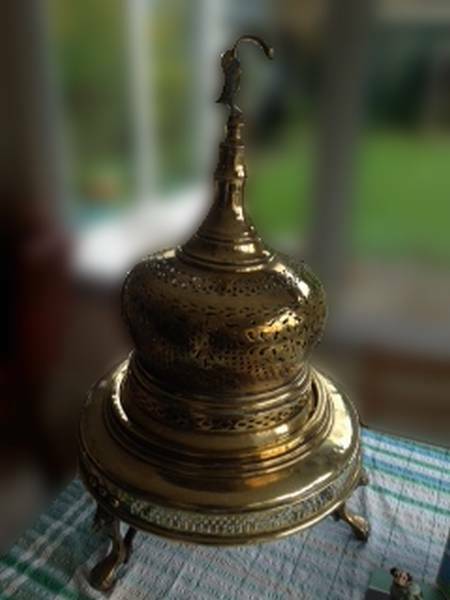 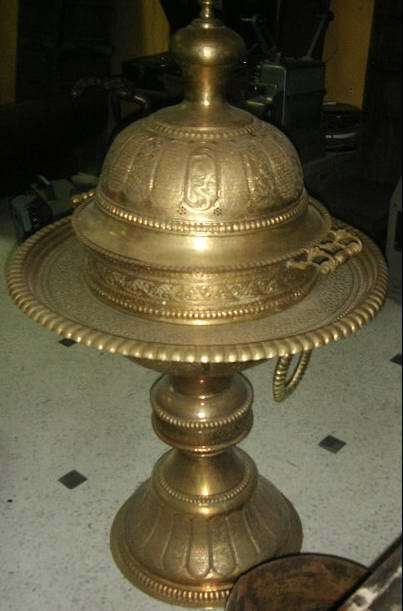 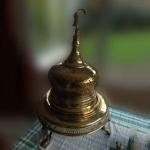 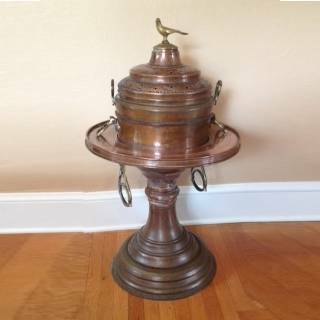 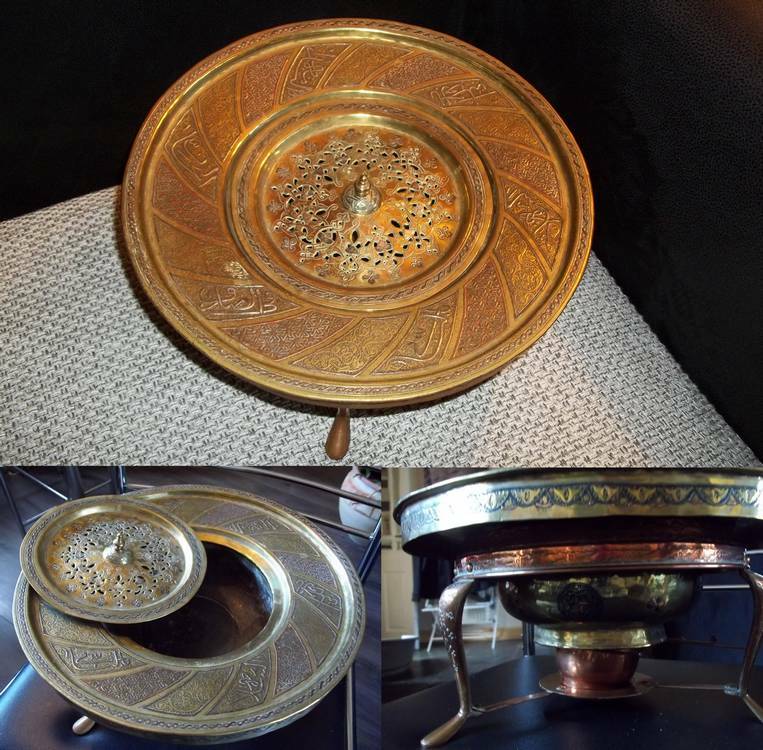 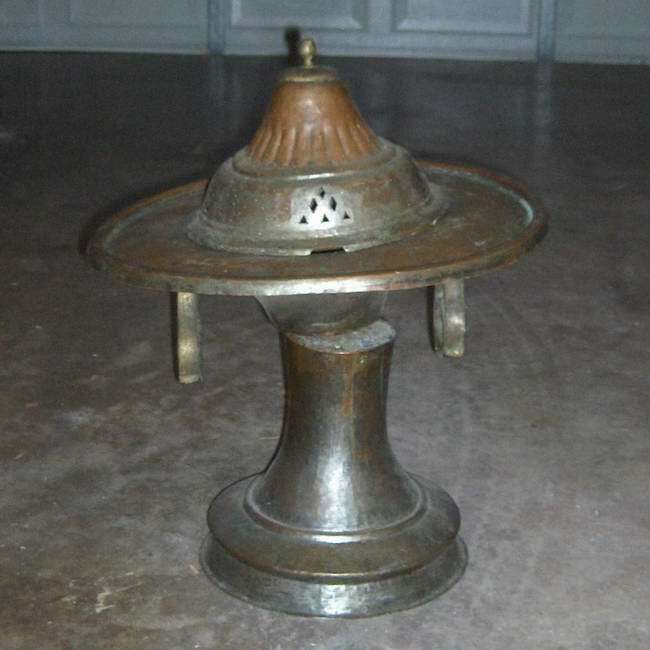 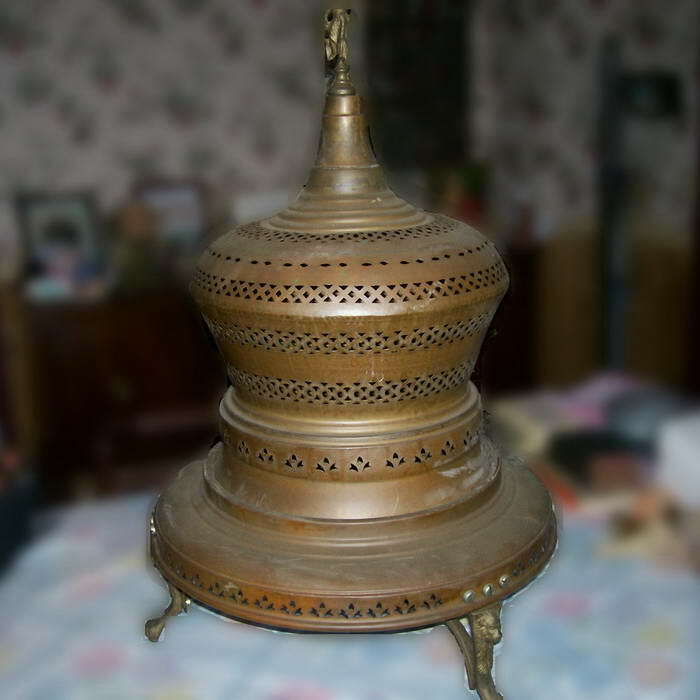 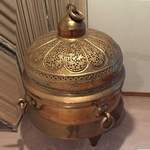 Description: Brass, copper, silver inlayed Burner or Brazier (used for heating or cooking). 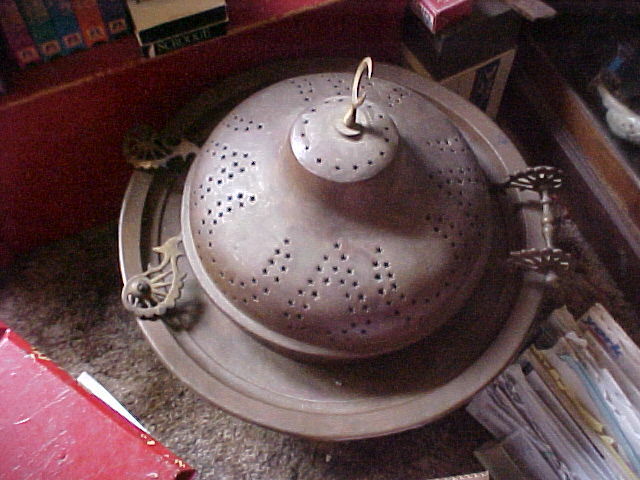 It may be a heating or cooking brazier. 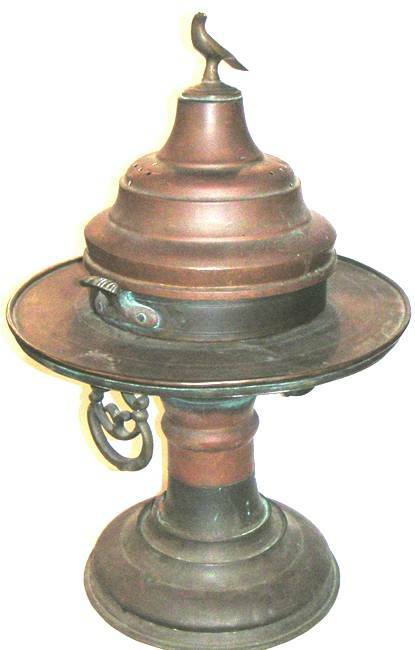 Description: This heating device measures 82cm tall and 50cm wide. 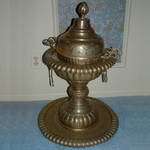 The top appears to depict a serpents head on an eagle body. Description: It appears to be brass with copper hammer pounded rivits holding the 4 handles. 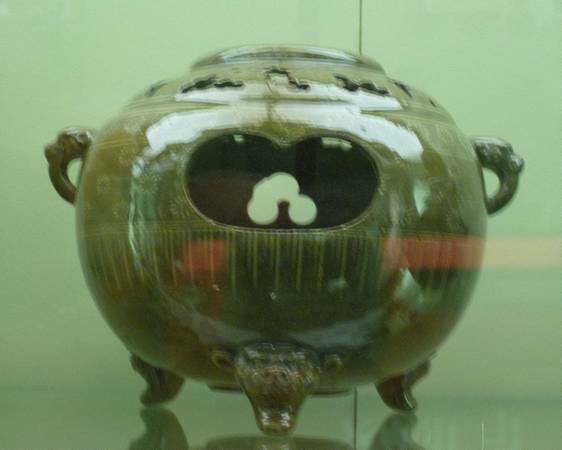 It has 3 legs and is etched with elephants all the way around. 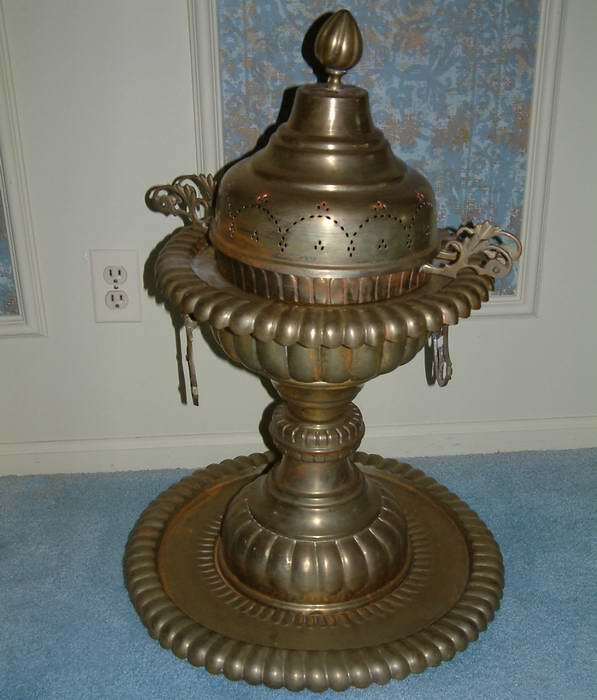 The height is roughly 3-4 feet. 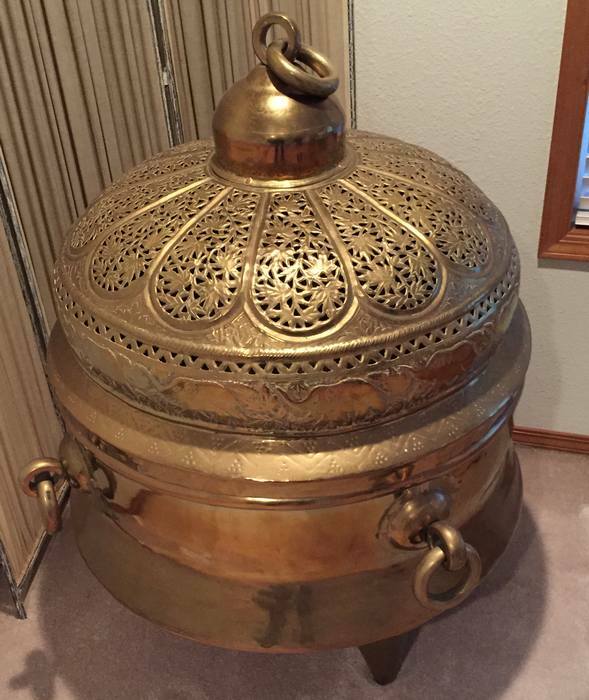 Should be a heating or cooking device.